Growing beans is easy as long as you provide their basic requirements. However, even in the best of situations, there may still be times when problems growing beans becomes prevalent. Knowing about common bean problems and utilizing important bean tips are the best line of defense when these issues arise. Several insect pests attack beans. However, most of them can be easily removed by hand or with soapy water. If you’re having problems growing beans, you may want to check the garden for evidence of insect damage. Frequent inspection and prompt removal are important steps in order to control or alleviate the development of heavy infestations, which usually require more drastic measures, such as the use of pesticides. Many insects overwinter in nearby shrubs, trees, and brush. Keeping the garden area free of debris can help control bean problems associated with insect pests. Many types of beans are affected by disease. However, most of these bean problems can be prevented by choosing and planting disease-resistant varieties. Rotating beans at least every other year and practicing proper watering and spacing guidelines also help. Numerous types of fungus live in soil, which can wreak havoc on bean crops, especially seedlings, and result in beans not growing. Roots may die and leaves may yellow. 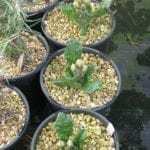 Plants may exhibit discoloration and poor growth. Make sure beans are planted in well-drained soil, as excessive moisture is an ideal environment for the development of fungus. Stem anthracnose is a fungus that commonly causes bean problems in severely wet conditions. Beans may exhibit dark colored lesions or blotches. There are no remedies but with proper preventative measures, such as avoiding overhead watering, it can be avoided. Sclerotina fungus causes pods to become soft. Leaves form watery spots and stems rot. Cool, moist conditions trigger this common bean problem. Improve air circulation and discard plants. 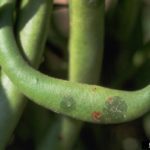 Bean rust is another common problem caused by fungus. Affected plants develop rust-colored spots and leaves may yellow and drop. Plants should be removed and discarded. 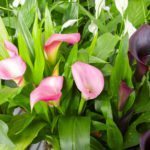 Avoid humid conditions and rotate plants. Bacterial blights are also common in wet environments. Halo blight attacks in cool temperatures. 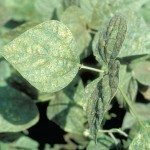 Bean plants develop dark spots surrounded by yellowish halos. 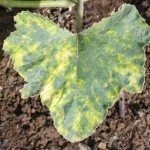 Common blight occurs in warm weather. This also causes dark spots but without the halo. Both are caused from infected seeds and spread easily in wet conditions. Mosaic viruses are caused from herbicide use, infections, or nutrient deficiencies. Many are transmitted through pests, such as aphids, or infected seeds. Plants exhibit unusual color patches. White or gray powdery growth may signal powdery mildew, which is spread through wind and rain. Beans prefer warm weather, full sun, and well-drained soil. Growing beans from disease-tolerant seeds or plants helps minimize bean problems. Keeping the area free of debris, including post-harvest plants, is another way to alleviate problems growing beans. Excessive heat and humidity are responsible for most pest and disease problems. Allow extra space between plants for better airflow, especially in humid areas. Keep leaves dry by avoiding overhead sprinklers to cut down on the development of fungus. Finally, make sure to practice crop rotation in the garden at least every other year to avoid bean problems associated with soilborne agents.